Do you have a tattoo idea in mind? You have tattoo ideas. We can help you through our custom tattoo designs, we can make any of your ideas into reality. Our staff can help you bring any idea to life, through our custom tattoo designs, we can make any of your ideas into reality. Visiting us will help you understand and determine the right tattoo design idea for you. With a wealth of experience, you can be comfortable knowing that you are safe and will get exactly what you want. When scheduling an appointment for a tattoo, and reserving an artist’s time, it guarantees you a specific time and date to be tattooed. All other inquiries for this block of time will be turned away in order to keep the appointment scheduled for you. 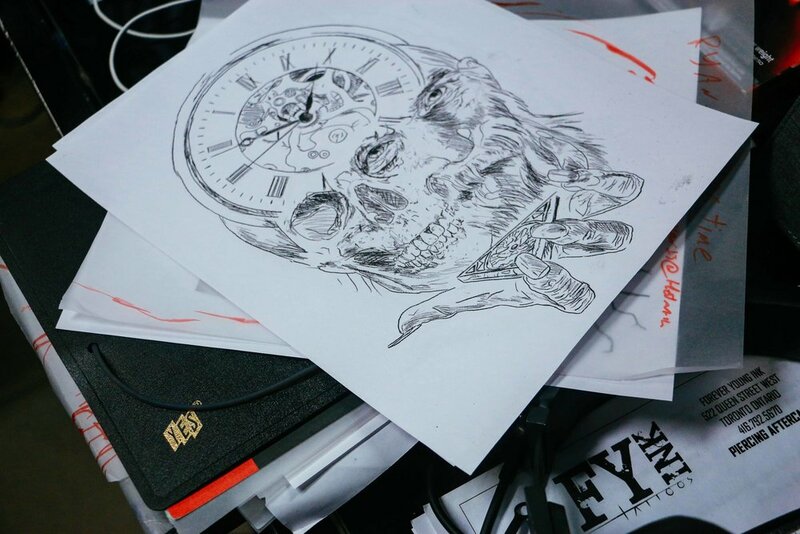 Because our tattoo artist’s time is limited each day, and very sought after, we ask before making any appointment be absolutely sure of your choice of tattoo design, and your availability for the date and time you agree to have the procedure done.